When in 1911 the English-speaking world celebrated the 300th anniversary of the King James Version (KJV) of the Bible, a remarkable outpouring praised this epochal translation. President William Howard Taft declared that the KJV was simply “the Bible of our American forefathers. … Its spirit has influenced American ideals in life and laws and government.”King George V from Britain added similar words that many others echoed. In this chorus to honor the Bible, two political luminaries were unusually significant. Within days of each other in the spring of 1911, the sitting governor of New Jersey and the former governor of New York both made substantial addresses on the KJV. The former governor of New York, and also former president of the United States, was Theodore Roosevelt, who presented his address at the Pacific Theological Seminary in Berkeley, California. The sitting governor of New Jersey, and soon to be president, was Woodrow Wilson; he gave his speech before a crowd of 12,000 in Denver where he was exploring a run for the White House. 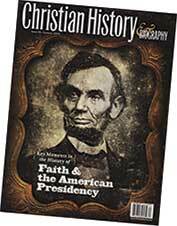 The two speeches say a great deal about the Bible and its immense place in American history. They also reveal a great deal about these two leaders whom historians regularly rank as the greatest presidents between Abraham Lincoln and Franklin Roosevelt. What Wilson called “the people's book of revelation” was for him a foundation and norm of American democracy. He exalted the Bible as the source of what distinguished the United States in the world: “America is not ahead of the other nations of the world because she is rich. Nothing makes America great except her thoughts, except her ideals, except her acceptance of those standards of judgment which are written large upon these pages of revelation.” At the end of his address, Wilson, like Roosevelt, conflated his view of the Bible as a general guide for American civilization with his own stance as a Christian reader of the Scriptures. Roosevelt and Wilson were making bold claims for the influence of the Bible on American life. In 1911, they could speak without nuance or qualification because they knew that the era's mainstream opinion agreed. The public lives of Roosevelt and Wilson illustrate both the substantial reality of what they claimed for the Bible and raise difficult questions about their vision of Christianity. The two grew up in households dominated by educated, energetic, pious fathers. Joseph Ruggles Wilson was a respected minister in the Southern Presbyterian Church who communicated a special love of Scripture to his son; Wilson would read the Bible and attend church regularly for his entire life. Theodore Roosevelt, Sr., was a public-spirited New York City businessman who devoted much of his great energy to voluntary religious organizations aimed at evangelizing, educating, and improving the urban poor. He too inculcated habits of regular devotion that his son sustained; the younger Roosevelt, like later president Jimmy Carter, taught Sunday School through much of his life. Roosevelt and Wilson also identified themselves, at least intermittently, in distinctly evangelical terms. After the early death of his father, Roosevelt wrote that “nothing but my faith in the Lord Jesus Christ could have carried me through this, my terrible time of trial and sorrow.” When he sought to discipline himself with physically demanding tasks as a cowboy and a soldier, he was following the model of “muscular Christianity,” a pattern promoted in this era by the YMCA, which was still strongly evangelical. In 1910 Roosevelt wrote a letter of warm commendation to the great Edinburgh Missionary Conference. Wilson experienced a conversion as a 16-year old, took part regularly in prayer meetings while an undergraduate at Princeton, was deeply moved by the preaching of D. L. Moody while teaching at Wesleyan University in Connecticut, and at crucial times in his life spoke of Christ's love as his greatest inspiration. The solid rooting in Scripture that both presidents enjoyed clearly influenced their political lives. Both were foes of corruption. Both tried to use government to protect those most in need of protection. In their era, progressive support for an active government came mostly from Roosevelt’s wing of the Republican party. As president, he made an effort to clean up the civil service, protect the public against monopolies, and preserve Western land for public use. When Wilson became president in 1913, he justified many of his appeals for new legislation by the necessity to help people in actual need. This motive led him to back restrictions on corporate trusts, to create a Federal Reserve for ensuring stability in banking, to secure an eight-hour day for railroad workers, and to establish the first national standards protecting child labor. Such progressive measures fleshed out what both men (especially Roosevelt) described as a commitment to “righteousness.” They came from their conviction (especially Wilson’s) that the ideals of democratic liberty could be translated into reality. The worldview behind their confidence in positive government action came in large part from their reading of Scripture. As presidents, Roosevelt and Wilson were renowned for trying to use the United States’ rising power for peace among nations and liberty for oppressed peoples. In 1906 Roosevelt was awarded the Nobel Peace Prize for his success at brokering peace between Japan and Russia. Wilson was even more admired for the idealism of the plan he proposed toward the end of World War I to create an international peace-keeping order. In foreign as in domestic policies, the two worked hard to translate into practical policy the ideals articulated in their speeches on the Bible. Today, however, Christians might pause before following the lead of these larger than life figures. Roosevelt (throughout his life) and Wilson (after he became president) were both champions of what their era called the Social Gospel. Both shared much with clerical activists like Washington Gladden, who defined the biblical “Kingdom of God” as primarily a set of ethical axioms. Roosevelt and Wilson mostly practiced a Christianity guided by what their era considered a progressive spirit. That spirit was scientifically informed, politically energized, and probably too confident in the progressives” own ability to reform the world. Even as the two presidents continued to draw inspiration from Scripture, they seemed to change traditional convictions about what scriptural religion meant. For the biblical sense of sin as an ever-present reality threatening even the best efforts of the most noble political actors, they substituted a nearly utopian confidence in what disciplined human effort could accomplish by itself. Instead of a biblical sense of humanity joined alike before God's law and alike before the offer of salvation, they allowed the era’s theories on race, eugenics, and Social Darwinism to delude them into thinking that “Anglo-Saxons” or “Teutonic peoples” had qualitatively surpassed all others. This thinking had an immediate effect on their racial attitudes. Although Roosevelt made a few moves toward treating the races fairly—for example, by welcoming the black leader Booker T. Washington to the White House— neither president followed biblical teachings on human equality with respect to blacks, Native Americans, or Asian Americans. And for the Bible’s words of warning and reassurance for all nations, they substituted supreme confidence in the United States as uniquely qualified to lead the world through sheer moral effort to a new day of universal peace. The result, even in their own lifetimes, was frustration. Roosevelt became so disillusioned when the Republican party under his successor, President Taft, did not pursue reform as Roosevelt desired, that he ran again for president in 1912. After World War I, Wilson became bitterly disappointed at the failure of the U.S. to join the League of Nations he had proposed as a means of keeping the world’s peace. The way both looked on the U.S. as God’s chosen instrument of righteousness and liberty in the world created unrealistic expectations that simply could not be fulfilled. Roosevelt and Wilson were sincere in what they said about the Bible. Both men brought much from Scripture to their tasks as presidents. But neither seemed to think that the biblical story might challenge as well as support American political ideals. Neither took seriously that biblical dogmas—especially about sin and salvation—might be as relevant to the modern age as biblical ethics. In a word, two of the nation's most sincerely biblical presidents were also two who had more to learn from the pages of Scripture. Mark Noll is the Francis A. McAnaney Professor of History at the University of Notre Dame.